Besides selling his prints, Escher made a living from undertaking commissions. Examples include his pattern designs for a glass ceiling at the Philips lighting factory, wooden panels for the City Hall in Leiden and for a tiled façade on a high school in The Hague. He often applied tessellations when working on such commissions. 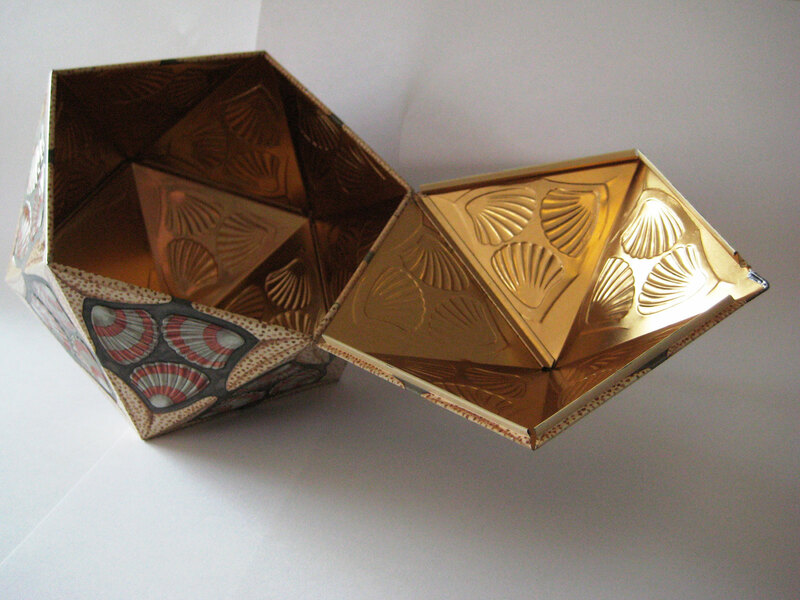 The confectionery tin designed by Escher in 1962/3 is no exception. This unique piece was commissioned by Verblifa (Vereenigde Blik Fabrikanten, United Tin Can Producers), which at the time was headquartered in Krommenie, to mark the company’s 75th anniversary. Each tin was filled with bonbons for employees, clients and business associates. in his ‘poverty-stricken’ days, when he was residing in Italy (1922-1934), he would have jumped for joy and been honoured to undertake such a sought-after commission. Although seeds of doubts had been planted in the minds of the Verblifa delegation, the gentlemen summoned their “white-gloved chauffeur” to fetch the entire collection of tins from the Mercedes to demonstrate the technical possibilities of the factory. Escher had been fascinated by a tin designed in 1955 for Verkade, a Dutch biscuit and confectionery company, entitled Koh-I-Noor. 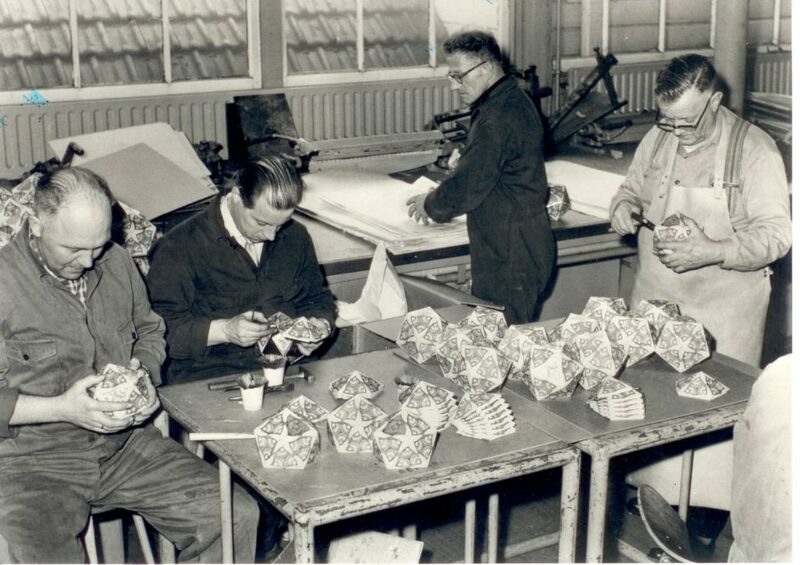 The tin in question was an icosahedron, with twenty identical triangular faces. “The shape fascinates me,” Escher told them. The factory representatives, however, felt overwhelmed by the challenge of turning such a complex shape into a relatively small production run of 7,000. Understandably, they returned to the factory in a subdued mood. They had been impressed by Escher and his work, and were confident that a wonderful collaboration could be struck up. However, no concrete agreements had been drawn up. Escher was clearly reluctant to commit himself. A week later, another Verblifa delegation was despatched to Baarn. To their amazement and delight, Escher informed them that he had devised a solution for the production run. Escher’s method ensured that all of the more than 7,000 tins could be easily cut out without losing extra space, is material. Nevertheless, the team still had reservations. This was a technological tour de force. Back in the factory in Krommenie, everyone was becoming increasingly enthusiastic about Escher’s solution. Eventually, the company consented to the production run, presumably because of the technological challenge. The sea stars are interjected with striped sea shells. 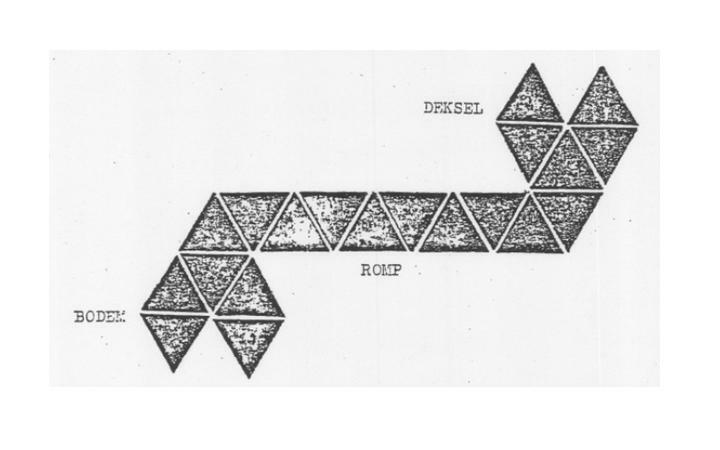 According to Mr Van der Grijn, Escher was not entirely satisfied with this decision, but “was willing to make a sacrifice” to comply with the technical preference of the factory. The result is this phenomenal tin. No matter what way round you turn or hold it, the pattern is always the same because of the icosahedron and its twenty identical triangular faces. According to Mr Van der Grijn’s report, quoted extensively in this article, Verblifa were immensely proud of the anniversary tin. 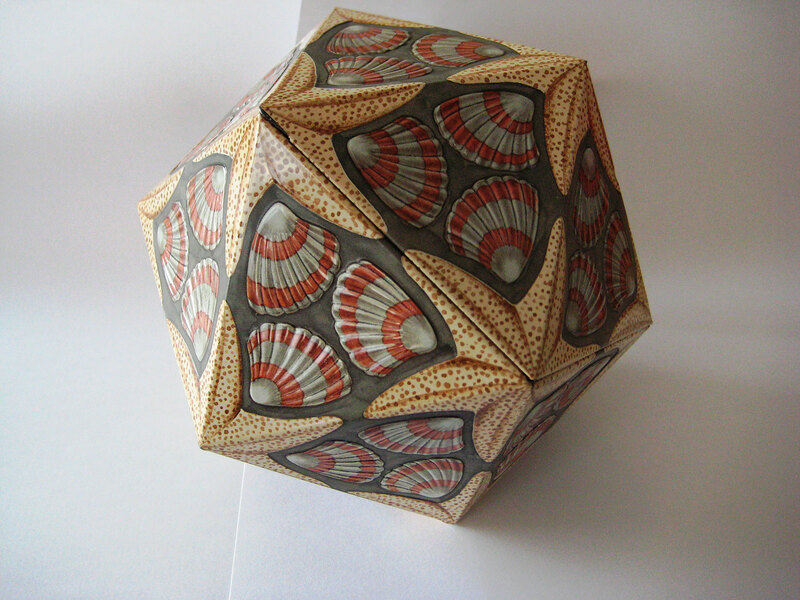 Escher was subsequently gifted three one-dimensional pieces of a tin featuring the tessellation. In a letter of 7 April 1963 to Mr Bouvy from Verblifa, he reveals he was delighted with this gift. At long last, he could show all those who expressed an interest how the tin had been put together.